Alfeta Alfonso Graham (83), was born in Live Oak, FL (Suwannee County) on February 19, 1935 to Tafy and Eva (Willis) Graham. She came to Jacksonville, Florida at an early age to live with her relative, Ms. Helen Carter. Alfeta received her early education in the Callahan school system. In 1951, she united in marriage with Joseph Roberts. Through this union they had three children. Alfeta Graham spent over 60 years in the nursing field retiring at the age of 77. She was very active in her retirement years going to the YMCA five days a week to exercise and she also participated and volunteered at the Clansel Brown Senior Center as much as she could. Alfeta A. Graham was called home to be with the Lord on Tuesday, January 8, 2019. She was preceded in death by her parents, Eva (Willis) and Tafy Graham; her brother, Samuel Keith Graham; sister, Mrs. Rosa Lean Torres; and beloved son, Joseph Ernest Roberts. 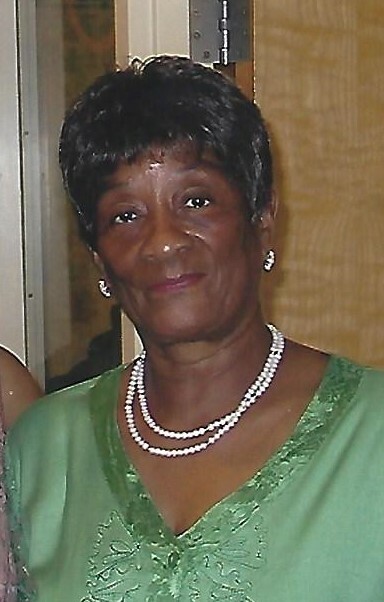 She leaves to mourn, her daughters, Dr. Beverly L. Roberts-Atwater (Tony) and Brenda Y. Roberts-Mills (Leandrew, Jr.); daughter-in-law, Patricia Barnes-Roberts; five grandsons, Leandrew Mills, III, Ernest Joseph Roberts (Dominic), Eric B. Roberts, Lenard D. Mills (Tenise) and Levar Alfonso Mills; twelve great grandchildren; sister-in-law, Lilly Mae Graham; brother-in-law, Jose Torres; three nieces; ten nephews; goddaughter, Karen Kinchen; and a very special friend, Ms. Jones.